Ada pertanyaan untuk Matreshka Hotel? Baik untuk tujuan wisata atau bisnis, Matreshka Hotel adalah pilihan akomodasi yang tepat ketika mengunjungi Moskwa / Moskow. Dari sini, para tamu dapat menikmati akses mudah ke semua hal yang dimiliki oleh kota yang aktif ini. Fueguia 1833 Laboratorio de Perfumes, Art Appeal Gallery, Trinity Church dapat dicapai dengan mudah. Fasilitas dan pelayanan yang diberikan oleh Matreshka Hotel menjamin pengalaman menginap yang menyenangkan bagi para tamu. Ada beberapa fasilitas properti ini seperti check-in/check-out pribadi, layanan taksi, layanan kebersihan harian, resepsionis 24 jam, check-in/check-out cepat. Semua kamar memiliki sejumlah kenyamanan seperti televisi layar datar, rak pakaian, linen, sofa, handuk untuk menyenangkan semua tamu. Properti memiliki berbagai pilihan fasilitas rekreasi yang memungkinkan Anda melakukan bermacam hal selama menginap. Matreshka Hotel adalah pilihan yang cerdas bagi para wisatawan yang berada di Moskwa / Moskow dan menawarkan pengalaman menginap yang menenangkan setiap saat. 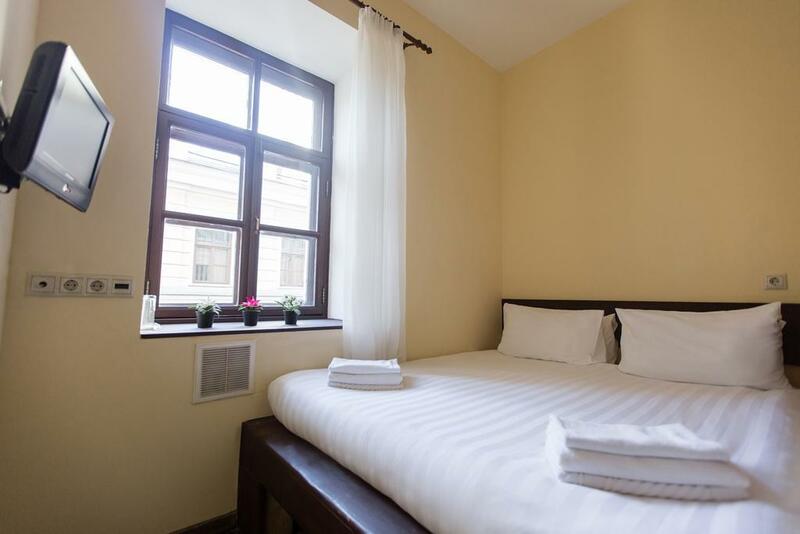 the workers are very nice and better to talk with them in english, the location of this hotel is very good, it`s just need to ten minutes to walk to the Red square. there are some metro station near the hotel, i will choose this one again next time. Smooth, simple and comfortable, no problems. 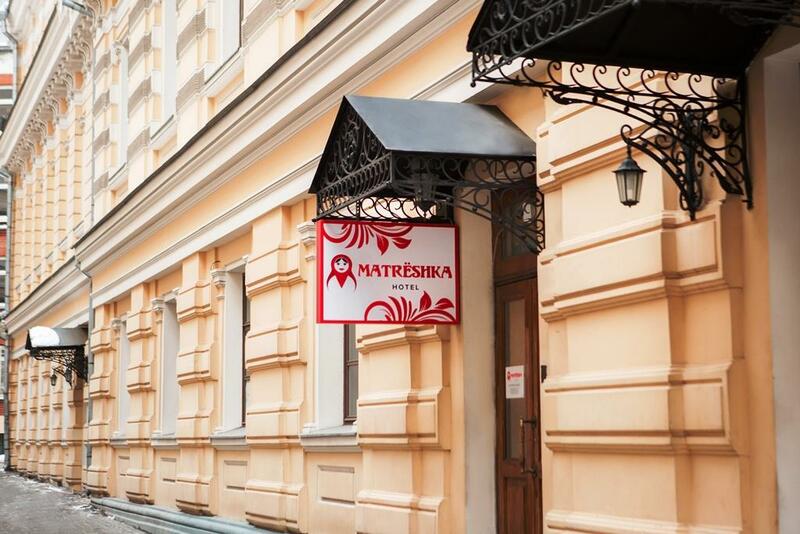 The only quality that can recommend Matreshka Hotel is a very good location, the rooms are small and uncomfortable, the services ar sub-standard and the quality of everything is questionalble. At the check-in, we were shown into a considerably smaller type of room than we paid for, I normally don't let things like that pass, but after St. Petersburg's very cold climate, I was a bit ill, and when I belatedly realized that they shoved us into a standard room (which is indeed very small and uncomfortable) and did not give us the premium room we actually paid for, I was too exhausted to either argue, or move our stuff again. I can't say anything about breakfast, because, after seeing the photos, as experienced travellers, we decided not to opt for it and eat elsewhere, since the place is surrounded by good eating options, but the tea I ordered at the hotel bar because I wasn't feeling well was by far the worst tea I had in my life, at 350 rubles, which basically a five-star hotel price. No any service,no water serve in the room. No air con or heater, No balcany, dont have service staff. I will not book again. 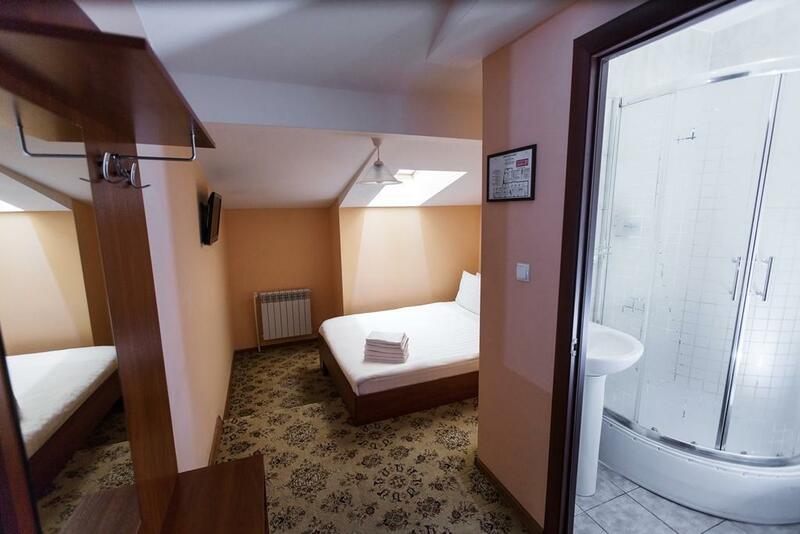 This Hotel has great location and a valuable price during the FIFA World CUP. The worst hotel I've ever been! No lift at upper rooms! Dirty! Not renovated! No bathroom amenities! No aircon! No windows! Most of the rooms with windows facing night club-can't sleep at all! Staff not aware about floor plan ! I had to go to 10 different rooms and chech myself where dose window face: night club or opposite. So unplesent! Just horrable! Had to run away next day and change to different hotel. Breakfast: better don't even try! Scrambled eggs were maid from egg powder! Instant porridge! No vacant table to sit on! Dirty brown table cloths. Ppl standing on top of your head and waiting for you to finish! Such environment makes you upset for the whole day! Better to get disent hotel further down from center than stay this horrable place! Just horrable! We booked at the last minute so we could watch the England World Cup game so all hotels were charging extortionate rates. Otherwise I am sure it would have been reasonably priced. Basically it is like a backpackers. However the location is fantastic. Great location. But maybe a two star hotel Closet size rooms. Only some as windows . The worst is that no air conditioning. Some rooms facing the street are too noise trough the night. Not a nice place to rest. The hotel is located at the center of Moscow. You can go to Red square by walk for 10 minutes. The room is small and not so clean but it's fair-to-middling. Breakfast is moderate. I would suggest to reserve room with window cause it's hot at night and discomfortable if not have it. Location is best. but....overall It's ok. I was there for 2 nights..I came very early in the hotel and could left my luggage there and the staffs were very nice. The room is small without window but its clean and reasonable. I spent one night at the worst hotel in my life trip. A cramped room without windows, noises and vibrations from the clubs in the next building, and the footsteps of a creaky corridor, it was a night of hell. Even fair location near the Red Square. This hotel has very poor room facilities. 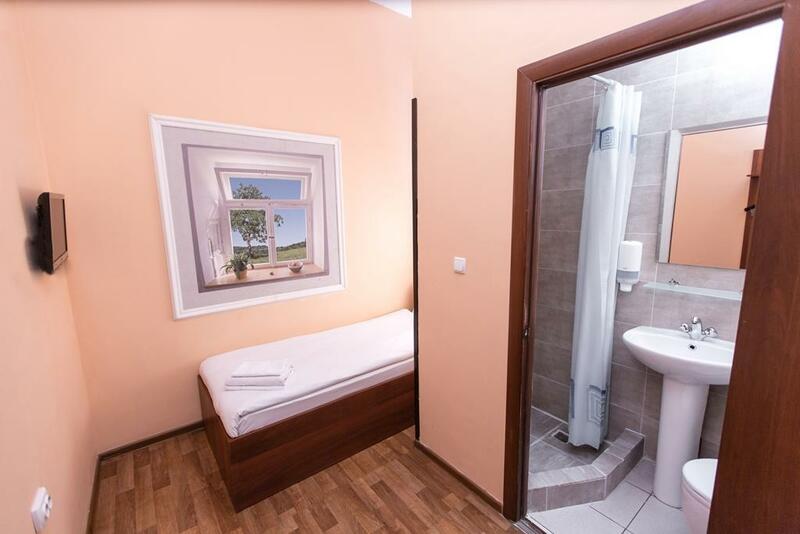 Unforgivable small bath room where you can have only 2 ftx2ft for showering. No water provided in the room, but at least they left you two glasses. Loud noise from bar on the first floor. Breakfast is always the same, every single day : 2 types of rice, sausage, egg, oat sereal, oranges. No vegetable. No water. 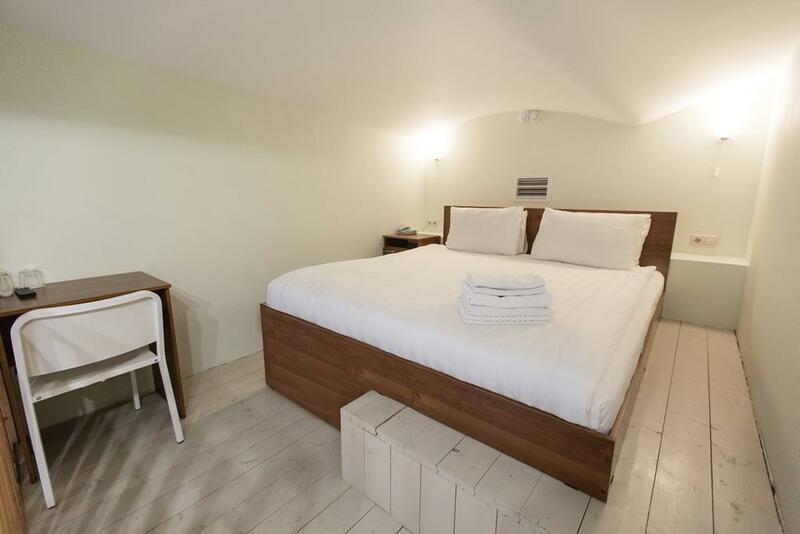 Location, warm rooms, good size room. Hotel is in great location!Rooms are decent size, warm and cosy. Showers could be improved (water constantly goes from hot to cold and other way around). One very big down side was the canteen. Very poor breakfast and staff in canteen very rude and unprofessional.